A recording of the world premiere performance of a piece written to celebrate the 50th anniversary of the King’s Singers has been made available to pre-order. 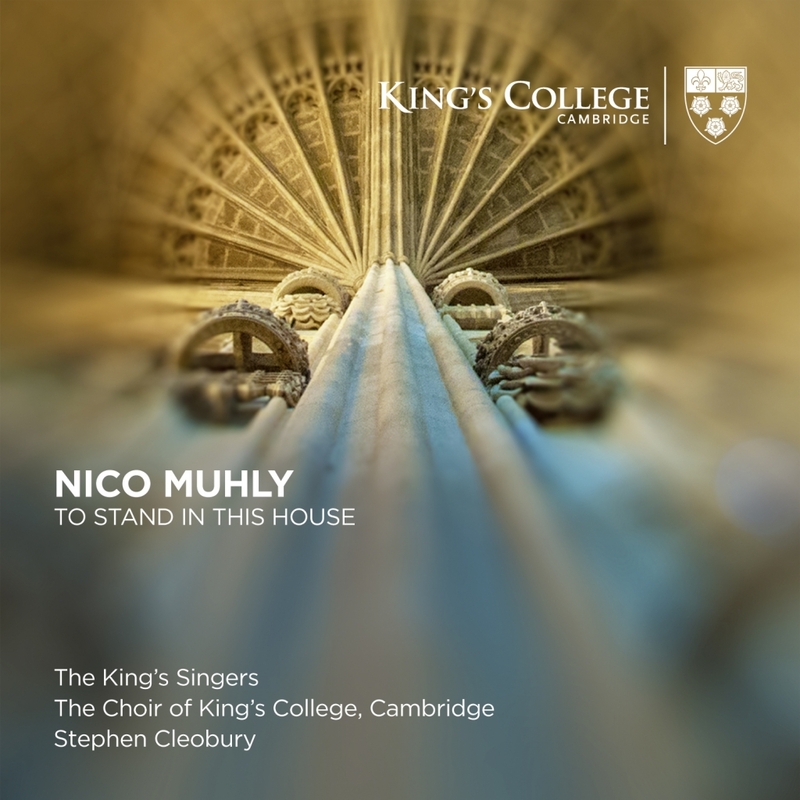 To stand in this house, composed specially by New York-based composer Nico Muhly, will be released on 1 May 2018, the official 50th birthday of the renowned vocal sextet. The work was first performed at a special anniversary gala concert in King’s College Chapel in January this year, for which the King’s Singers were joined by Stephen Cleobury and the Choir of King’s College, Cambridge. Originally formed by six King’s College Choral Scholars in 1968, the famous sextet has seen 26 singers pass through its ranks. The current line-up includes former King’s Choral Scholar Patrick Dunachie as the first alto, and many former members were in the audience for the concert. It was an opportunity not only for the group to celebrate its 50th anniversary, but also to return to its spiritual home. The four-moment work released on 1 May is based on thoughts about, and responses to, the world by prominent individuals with connections to King’s. Two ancient prayers – The Prayer of King Henry VI and The Prayer of Sir Thomas Ken – were set alongside writing by two of the most celebrated graduates of the last century: authors Salman Rushdie and Zadie Smith. The contemporary texts reflect upon the ancient prayers and how human civilisation has come short in realising their hopes. Rushdie talks of the beauty of King’s and its chapel, and highlights the irony that such a majestic building, which is able “to give solace and to inspire”, can still coexist with the “hours of howling loneliness” experienced by Rushdie as an undergraduate. Smith, in an extract from a speech she gave upon winning the Welt Literature Prize in Berlin in 2016, expresses how, despite writings that hope for the contrary, like The Prayer of Sir Thomas Ken, in our world right now “the conductors standing in front of this human orchestra have only the meanest and most banal melodies in mind”. To stand in this house is available to pre-order as a digital EP (download), as well as available to stream on Apple Music, Spotify, and other platforms.